After the Aces won the toss and opted to bowl, it took a little time for both teams to work themselves into their groove. Otago’s opening batsmen Hamish Rutherford and Camden Hawkins navigated the first hour, then in a ball going down leg side, Ben Lister had Rutherford caught behind for 14. Next over, Sean Solia sent Hawkins’ off-stump flying. Otago then had to start again. Mitch Renwick and Brad Wilson put on a 50 partnership before lunch, the score at 132/2. The second session was tough work for the Aces, as they struggled to gain ascendancy over the Volts batsmen. Renwick and Wilson reached their 150-run joint milestone, then Renwick brought up his maiden first-class hundred. 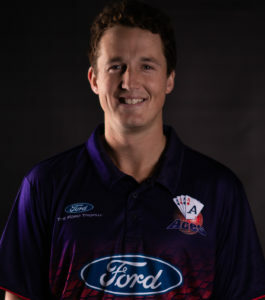 The Aces threw bowlers at the problem, using eight in total to try and break the partnership. Glenn Phillips was obviously frustrated when a catch from Wilson didn’t go to hand. Two overs later he took the catch himself from the bowling of Jamie Brown. 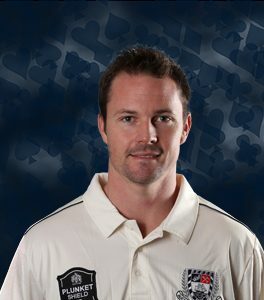 The biggest wicket of the day went to Lister. 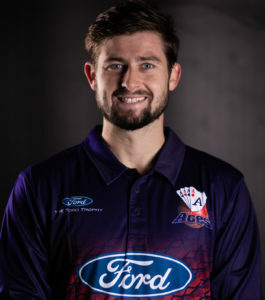 In his second over with the new ball he caught the edge of Renwick’s bat, and Robbie O’Donnell took a low catch at second slip. Then in Lister’s next over, he dismissed new batsman Nathan Smith LBW. During the last hour of the day Christi Viljoen and Max Chu were content to let the dot balls from the Auckland bowlers pile up rather than take risks. They will restart tomorrow on 9 and 5 respectively, Otago on 320/6.